FOMO, or fear of missing out, is the reason you rarely see a child without a phone in hand during daylight hours. Most of us feel a bit sad about that. We’d rather our children communicate with their friends in the flesh. What’s even worse, however, is that FOMO extends deep into the night. Tiptoe into a child’s bedroom at night, and you’ll likely still see that blinking, chirping phone in your child’s hand, or on a pillow next to his head. Is that any way for a child to get a good night’s sleep? According to a study just published by JAMA Pediatrics on October 31, the answer is an unequivocal no. When kids keep portable mobile screen-based devices like smartphones and tablets in their bedrooms, the result is fewer hours of sleep, poor sleep quality, and daytime sleepiness. This is a serious problem because sleep is vital to our children’s health and development, both physical and mental. Not getting enough quality sleep time has been linked to obesity, lowered immunity to diseases, stunted growth, substance abuse, and mental health issues like suicidal tendencies and depression. Considering the health risks associated with having an electronic device in the bedroom , you might even say that FOMO is killing our children. Earlier studies have already found that using screens close to bedtime keeps children from getting sleepy. In part, this is because the bright light from the screen keeps the body from producing melatonin, the hormone that regulates the sleep-wake cycle. This new study is different because it focuses specifically on portable electronic devices that can be brought into the bedroom and their effects. To that end, Ben Carter, PhD, MSc, Department of Biostatistics and Health Informatics, Institute of Psychiatry, Psychology and Neuroscience, King’s College London, looked at 467 studies to find 20 studies that had the metadata he needed. The 20 studies cover some 26,000 child participants and the effects of having mobile electronic devices in their sleep environments (their bedrooms). The kids in these studies are from North America, Europe, Asia, and Australia, and are 6-19 years old. Carter found that kids who had their mobile devices nearby at bedtime were twice as likely to get fewer than nine hours of sleep per night. Just keeping these devices in their bedrooms meant the kids were 50 percent more likely to sleep poorly, and 200 percent more likely to drag along and be groggy with sleep the next day. Why did Carter focus on smartphones and tablets in the bedroom? What makes these devices deserve a category of their own, when we talk about screen use and sleep? A commentary accompanying the study in JAMA, if one will excuse the pun, sheds some light on the subject. Written by sleep medicine expert Charles A. Czeisler and pediatrician Theresa L. Shanahan, both of Harvard, the authors note that parents say two-thirds of their teens leave their devices on even as they sleep at night. Worse yet, 43 percent of these kids awaken periodically during sleep to read and send text messages throughout the night. We know what makes them do it: FOMO. And we know it’s making them sick. The use of mobile media devices at bedtime provides socially and physiologically stimulating material at a time when the transition to sleep requires the brain to wind down. Interesting content is often difficult to resist, and children frequently have a fear of missing out if they disconnect. Coupled with the demands of homework, media devices can keep children and adolescents awake well past the bedtime needed to obtain an adequate amount of sleep. 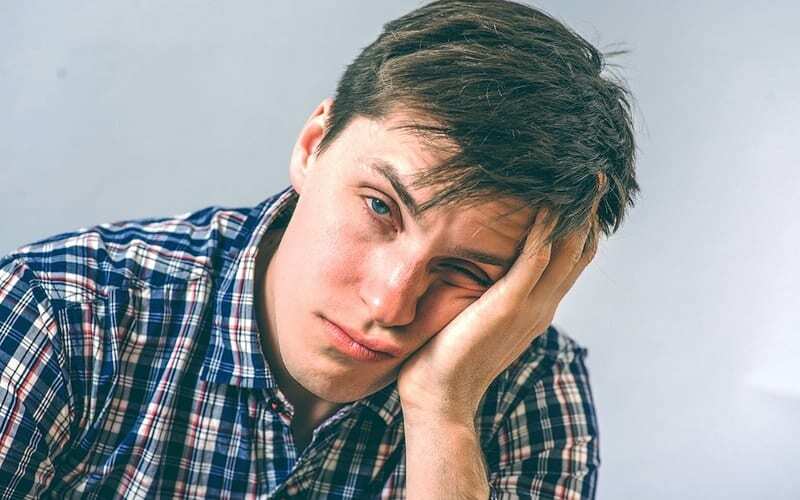 Czeisler and Shanahan explain that delaying the start of sleep can set off a whole slew of physical effects that push off sleep starting times even further, which then limits the amount of sleep hours not just for that evening but for many nights to follow. The situation is made worse during the school year. That’s when kids must wake up early to get to school on time; go to weekend sports events that continue late into the night; and attend extracurricular activities that force kids up even earlier to get some practice in before school start times. Delayed bedtimes plus the light from mobile devices and more efficient LED light sources that have all but replaced incandescent bulbs combine to suppress the release of melatonin. Kids need that melatonin to tell their brains it’s time to sleep. But without melatonin, kids’ bodies think that the sun hasn’t gone down and that it’s not yet time to sleep. Kids’ bodies could, for thousands of years, depend on the sun to tell them when to sleep. Modern technology, however, won’t turn off the lights, so our teens don’t know that dusk has arrived. Even when kids do finally fall asleep, having those phones next to them means they won’t be sleeping soundly. That’s because they’re receiving and answering text messages throughout the night. It’s a case of constantly interrupted, disturbed sleep. Czeisler and Shanahan list the adverse effects of this sort of sleep: sleep deprivation; sleep-wake cycle disruption; enhanced appetite; obesity; reduced insulin sensitivity; increased risk for type 2 diabetes; ADHD; mood changes; poor academic performance; impaired immunity; slowed reaction times; memory issues; anxiety; depression; and finally, impairment of the natural course of hormonal development in teens, some of which takes place during sleep. That’s a lot of stuff to look at. Stuff that hurts our kids. All because of phones and FOMO. FOMO, or the fear of missing out, means our children are exploring the parameters of the online world deep into the night. They do it because they can. They do it because their parents aren’t around to watch over their shoulders and oversee their online activities. And because they’re surfing the net and chilling with their friends deep into the night, during the day they are plain, full-out, exhausted. Because they are sleepy during the day, they aren’t doing well in school and may even sleep the weekend away when there is no school . The effects of not enough sleep, and poor sleep at that, is having a dire effect on our children’s learning and memory and their physiological and psychosocial development. They’re showing symptoms that resemble ADHD. Texting at night means daytime sleepiness. But if we’re going to point a finger at advertisers, one has to wonder about the ethics of us as parents allowing our children to bring these devices into their bedrooms. Can we stop them? Is it too cruel to take away their devices? And if we take away their phones and tablets would we be putting them at risk, instead, for extreme anxiety, due to their intense fear of missing out, their FOMO? As parents, we need to find a way to sever the invisible chords that bind our children to their phones and to their virtual worlds. At least at night. It’s our best and brightest chance of keeping them safe, sane, and happy in this world now, today. Babies are fascinated by photos. Lucky for them we all have smartphones so we’re camera-ready at every moment. We snap so many baby photos we hardly think about what we’re doing. That one didn’t come out so great? Click delete and take another. Smart parents take advantage of the mesmerizing effects of photos to keep babies happy and occupied and to teach concepts and skills to babies. Sitting in the waiting room at the pediatrician’s office with a bored and fussy baby? Show the baby the photos in the gallery on your phone. It’s an activity that never grows stale. If your baby tries to make the hard “c” sound, she’s learning! Be patient. It may take more repetition and more sessions, but understanding and ability will come with time and practice. When my eldest was a baby, I used photographs to make an emotion book. On each page, there was a photo of my little girl experiencing a different emotion. We’d name the emotions. She’d repeat the word and feel comforted that I understood what she was feeling at that moment. This is important because children don’t always have a way to describe what they are feeling and this can cause them a great deal of frustration. They count on us as their parents, to correctly interpret the sounds they make and how they are feeling about things. We may not understand them all the time, but parents become fairly adept at interpreting the utterances of their own children. Resourceful parenting is all about using common everyday experiences to teach important lessons. Kids are fascinated with smartphones and photos. Exploit that fascination to help build your baby’s knowledge base about the things in her world, to increase her language skills, and to better understand the human experience.